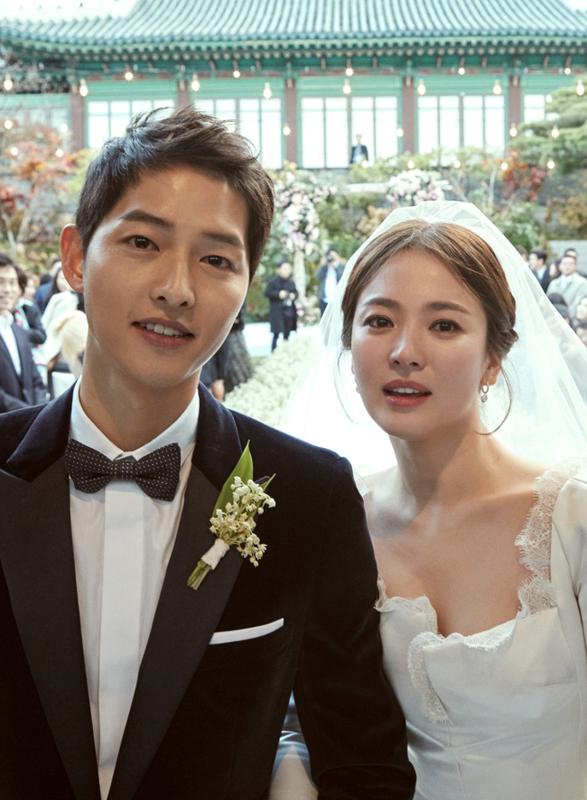 Stars of “Descendants of the Sun” Song Joong-ki and Song Hye-kyo’s private wedding on Tuesday grabbed the attention of many, but especially their fans in China, where the TV drama was a big hit, with the event dominating headlines of various Chinese media outlets. On Tuesday evening, the event headlined Chinese online media outlets including Baidu, ifeng and Tencent, while the couple’s wedding trended as the No.1 real-time topic on Weibo. On Weibo, the wedding had been searched for about 160 million times as of 6 p.m. on Tuesday. Some Chinese media outlets even flew drone cameras to stream the private event live as it was held at The Shilla Seoul’s Yeong Bin Gwan. The Chinese media’s extensive coverage of the Hallyu stars’ wedding marked a turnaround from a year earlier, when icy Seoul-Beijing relations heavily limited K-pop stars’ activities in China. The relationship between Korea and China showed signs of thawing after the two countries on Tuesday agreed to move beyond a yearlong standoff over a US missile defense system in Korea. It has also been reported that hotels around The Shilla were fully occupied with Chinese reporters who reserved the rooms to get a good shot of the wedding.